This is a simple student information sheet to hand out at 'Meet the Teacher'. 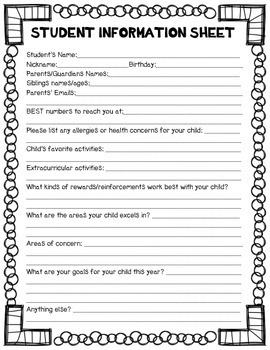 This asks all the essential questions teachers need to know about students so you have all the pertinent information in one place! Enjoy!